Diaa Bekheet | Washington, DC – He is a jazz visionary and a piano master inspired by America’s legendary composer and pianist Duke Ellington. 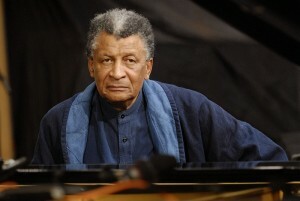 So, any other adjective I can add about the music of the gifted South African pianist, flutist, composer and bandleader Abdullah Ibrahim would be redundant. His inspiring music was one of the driving forces behind the anti-Apartheid movement in South Africa. Ibrahim, also known as “Dollar Brand”, was a strong opponent of the apartheid regime. He was arrested several times, but before leaving South Africa for exile, he wrote and recorded his masterpiece: “Mannenberg”. The song became a stirring vamp and the anthem of the anti-apartheid movement following the Soweto uprising in June 1976. His music inspired then-imprisoned African National Congress (ANC) leader Nelson Mandela. All types of music were banned in jails, but a lawyer for Mandela managed to smuggle some of Ibrahim’s music inside the prison prison and played it in the control room. “Judy smuggled in Mannenberg,” recalls Ibrahim in an interview with VOA’s Jazz Beat. “When President Mandela heard this song, he said liberation is near.” Listen the interview in full (mp3). Ibrahim was born Adolph Johannes Brand on October 9, 1934 in Kensington, Cape Town, South Africa, under the brutal apartheid regime. His family was very religious. In the mid-1970s he converted to Islam and adopted a Muslim name. Much of his early training came from watching his mother and grandmother play piano and sing in the African Methodist Episcopalian Church’s choir in the black township. When he was six years old, his parents sent him to a local school teacher to learn how to read music notes. He had an insatiable appetite for knowledge to the extent that he read all the books and magazines in the cultural section of Cape Town’s public library three times. Ibrahim originally wanted to study medicine, but the white-minority rule denied him access to the medical school. So, he decided to become a musician, but he was denied entry to the Conservatory under the apartheid regime. When the political conditions became too oppressive, Ibrahim decided to join many other South Africans in exile abroad. In Switzerland, he met American jazz legend Duke Ellington through a young South African jazz singer, Sathima Bea Benjamin, who later married Ibrahim. 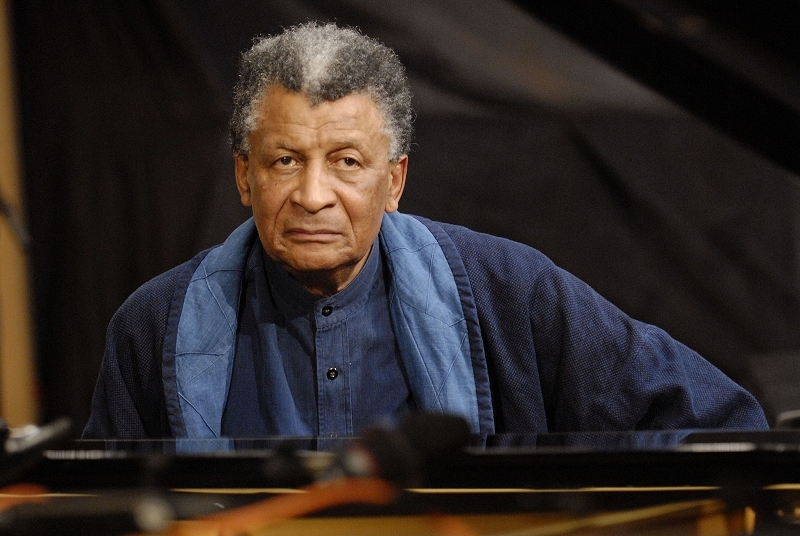 “Wherever we are as musicians, jazz musicians or contemporary musicians there’s no way that you can escape Ellington or the influence of Ellington,” noted Abdullah Ibrahim who is affectionately referred to by many as Africa’s king of jazz. “So, in South Africa we grew up with Ellington [music]. And for me as pianist and a composer, Ellington was and still is one the primary forces in music. He gave us guidelines and guidance, and for us Ellington was not just an American [musician], he was just a wise old man in the village,” said Ibrahim who also developed a good relationship with other American jazz legends, including saxophonist John Coltrane, drummers Elvin Jones and Art Blakey, and pianist Thelonious Monk. In the late 1949s, Ibrahim began playing professionally in South Africa. He was a member of The Jazz Epistles, South Africa’s first bebop band. It was inspired by Art Blakey’s Jazz Messengers. Later he joined a Cape Town-based big band called the Tuxedo Slickers. “We used Tuxedo Junction as our signature tune,” said Ibrahim. “It was co-written by Erskine Hawkins… I visited his home in Birmingham, Alabama, to pay my respects.” The Slickers also played songs by Tommy Dorsey, Glenn Miller, Count Basie, and Joe Liggins. Ibrahim’s dedication to music encouraged him to establish the “M7” academy for South African musicians in his birthplace, Cape Town. He also initiated and helped launch the 18-piece Cape Town Jazz Orchestra in 2006. The genius of Ibrahim’s precise rhythmic sense and crisp finger work sometimes resemble that of the famed 19th century pianists in the field of impressionist music, like Gabriel Fauré and Claude Debussy from France, and the Polish Moritz Moszkowski, critics have said. He has written the soundtracks for several movies, including the award-winning Chocolat and No Fear, No Die. Ibrahim also appeared in the 2002 documentary Amandla! : A Revolution in Four-Part Harmony, highlighting the empowering role of music in the South African struggle against the brutal segregationist system of apartheid. In the movie, Ibrahim, Nelson Mandela and others described life under the white-minority rule in South Africa. He won the South African Music Award (SAMA) for Best Male Artist. Thank you for this rendition of jazz music. I come from a country where foreign sounds are hard ot know by the native ear and to get off the web of nativity we got sometimes to catch better sounds from music. This is a bit of jazz that sounds most exqusitely soothing to nerve and heart.Thank you. Although what the player means is not as clear as the musician means it on his or her own, there is much to appreciate by the sound of music on its own. Thank you. I do like everything sent over to make for the upcomeuppance of native senses by music, an art to discover in bringing people from backwardness to modern marching of the human senses.Wonderful! Thank you Abdullah ! You gave me permission to play piano, when i was 24 , it was hard to decide , in a country where music is so easy to learn ,but where you will never be encouraged to be a good player or musician if you don’t begin early. In the same time i met african percussionists and work on Congas. Developping my sense of Rythms. Now , and because of you, i compose and play left hand on piano and right hand with cymbals, or congas. ( I have work for a lot of lives) . With my group in 1985 i Was the first in Belgium to play ” Mannenberg” in concert. And Now i can play some of your your compositions.I like to play Shuman’s children piece felowed and mixed with “Blue for the king Sobuza” , its the same feeling in 3. I met you 4 times in Belgium , very smal contacts after your concerts but, this gave me best vibrations to persist.